It's Friday linkup time! 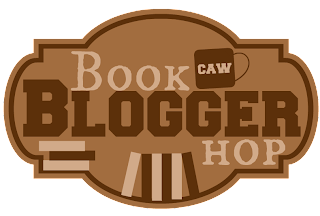 I'm linking up with the Book Blogger Hop hosted by Coffee Addicted Writer, Book Beginnings of Fridays hosted by Rose City Reader, and the Friday 56 hosted by Freda's Voice. Have you ever started a meme that became popular and is still in existence? No, I've never started one. I do participate in several - the 3 here, Top Ten Tuesday, Sunday Post, and Beyond the Books. 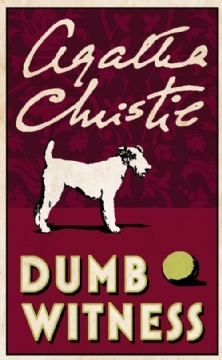 This week I'm going back to Agatha Christie with Dumb Witness (or Poirot Loses a Client). This isn't one of my favorites but it is one I always enjoy reading. Plus, because it's not one of her most memorable I never remember the ending so it's always a nice surprise to see how the puzzle works out. Miss Arundell died on May 1st. There's a lot of setup in this sentence especially given how short it is! Just from reading this I'm quite sure that Miss Arundell did not die of natural causes! "Her companions didn't stay as long as her servants," said Poirot, smiling. I don't think Agatha Christie was overly fond of companions. She's rather disparaging towards them in a number of her books. In this book Miss Arundell's companion is a very important character. So what do you think? Keep reading? I loved Dumb Witness. Mostly for the clever dog! I have been trying to train my Labrador for years to do that with the ball. He does run down to fetch it if I roll it down, but he doesn't want to do it himself. I also enjoyed the movie of this one with David Suchet. The dog in that movie was just perfect! I must read some Agatha Christie! Thanks for sharing...and for visiting my blog. Enjoy! This sounds great, I will look for it. I came over from participating in book beginnings today. Your blog name resonates with me since I am a retired librarian. I think so- love that first sentence. Sets the whole tone. Someone's dead and we don't know why. :) And it's apparently got a dog in it based on the cover? That could be fun. :) It's nice that Christie wrote so many stories- lots of variety! I love those short sentences that say so much. I also need to dig out Agatha Christies that I've forgotten about. Thanks for the visit today. I always love Agatha Christie! Thanks for playing along on BBOF, even though I didn't have a Mr. Linky this week! Check out my Friday 56 (With Book Beginnings). Can't go wrong with Agatha Christie. I'm curious whether that is the original cover art. Agatha Christie is an author I go back to very often. This sounds a very promising beginning. I still need to read Christie! The beginning does set things up nicely with just a few words. Enjoy! I've never read this Christie! I must I must! Its sounds like a great read. Oh yea, you have to keep reading! Love a mystery. I never started a meme but you know, I always wanted to. My blog doesn't get a lot of traffic and I think k it would just be me participating! Lol. Plus I fear I am so lazy I couldn't keep up with it. But I do regularly participate in British Isles Friday and Beth Fish's Weekend Cooking. In addition to the "Book Blogger Hop", I also participate in "Waiting On Wednesday". I have participated in "Top Ten Tuesday" in the past, but then stopped, because I don't have ten things I can post about every single week, lol. I might check out "The Sunday Post" and "Beyond the Books", though. I think I really need to buckle down and read an Agatha Christie novel! I have been meaning to do that for SO long now... This one looks interesting, but I think I'll start with one of her most famous ones -- "Murder On the Orient Express". Who hosts BEYOND THE BOOKS please? I don't know of that meme. Hope you are having a good weekend. I thought I'd hit all of Dame Agatha's creations but missed this one. I'm going to read it this summer! I've never started a meme either. Visit Katherine @ I Wish I Lived in a Library's profile on Pinterest.